The challenges of this site, and goals of the client were formidable. 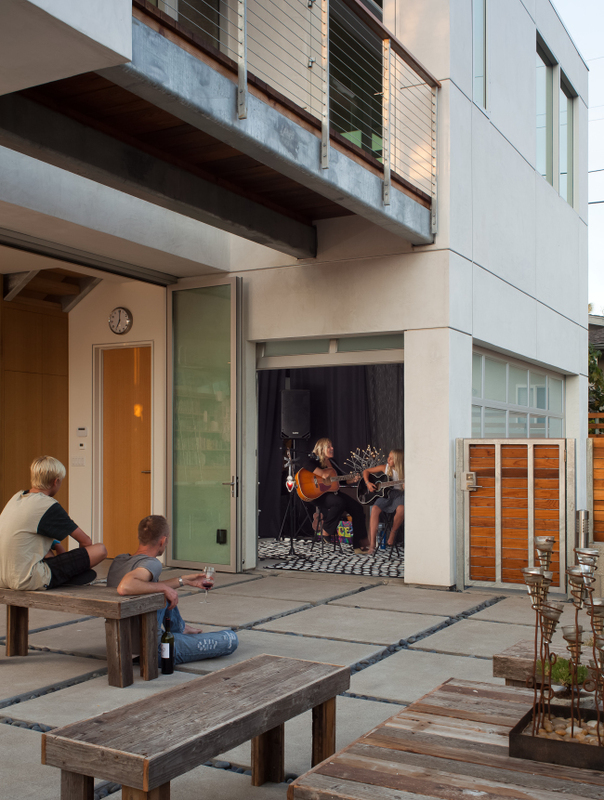 The small site was on a small and fairly busy corner in a beach community, and the goal was a home with openness, yet privacy, and sustainability on a fixed budget. 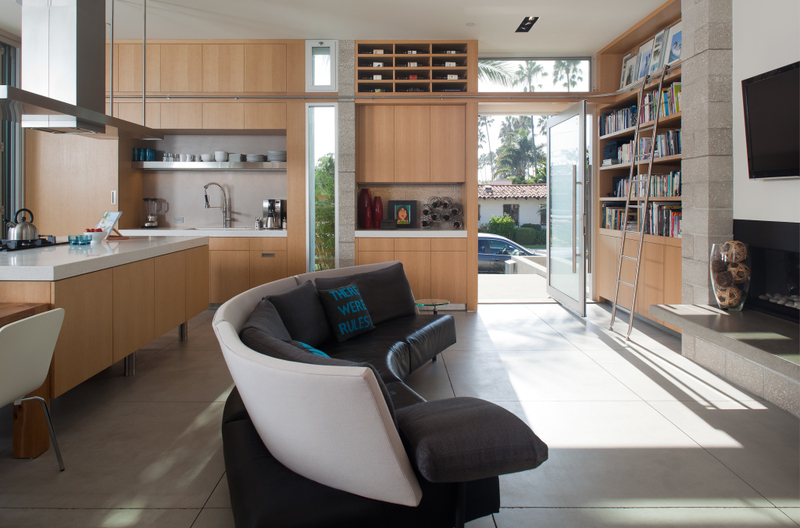 The design evolved to open outward and visually borrow space and capture views from the open two sides. 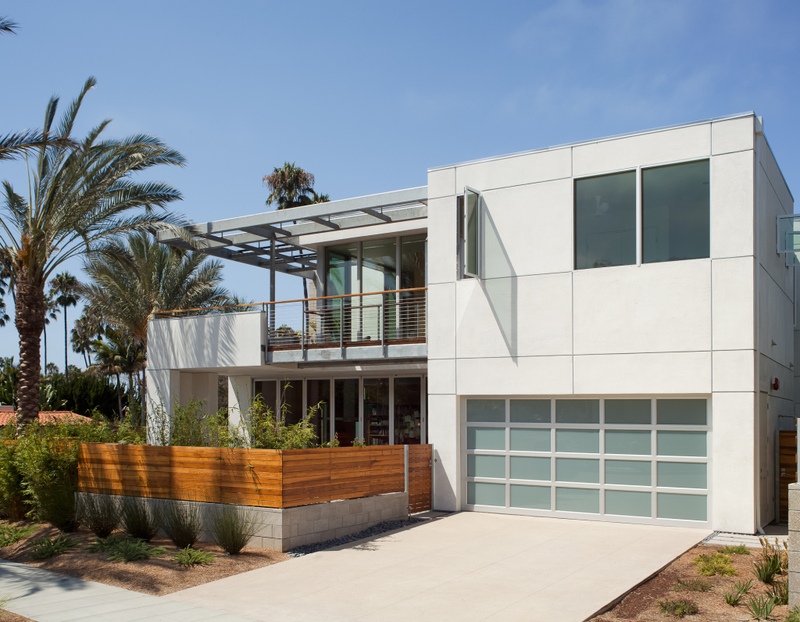 The transparency allows the beach atmosphere to engulf the home. Very important strategic privacy is provided by window locations, low fencing and carefully placed vegetation. The two interior facades are very solid in contrast to the two open facades. The sustainability of the home was achieved by both passive and technical means. 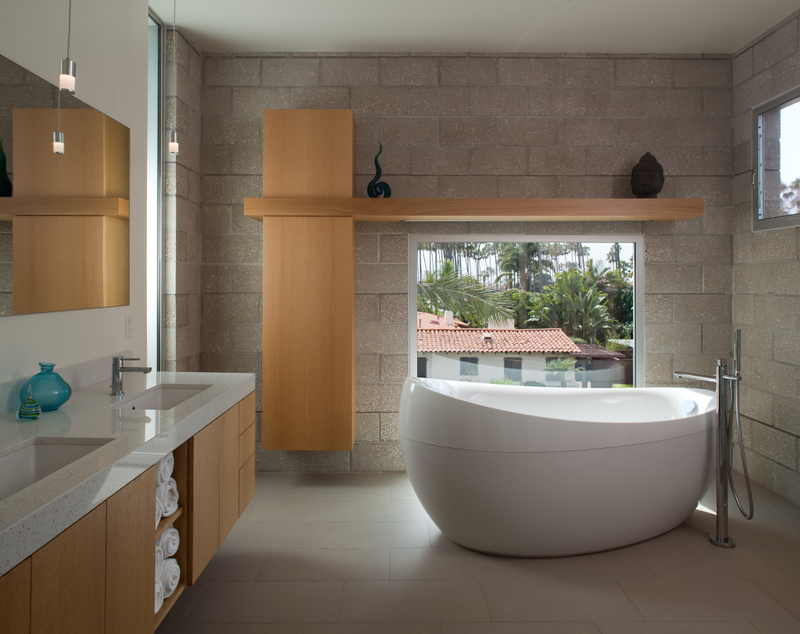 Square footage was minimized and the simplicity and economy of forms, helped maintain the low construction cost. Material selections were chosen for economy, sustainability and raw aesthetics. The planks of the exterior bridge are recycled boards from the old Temecula water tower. 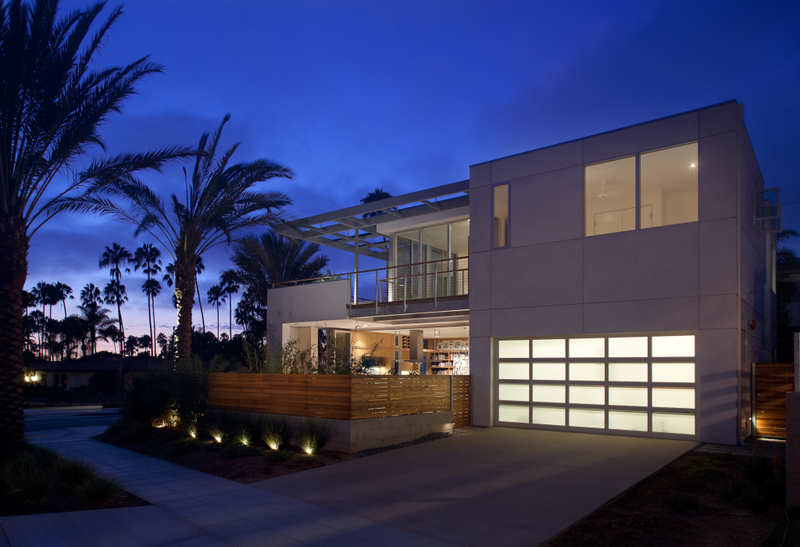 The design decisions proved that a sustainable home could be built without additional costs. 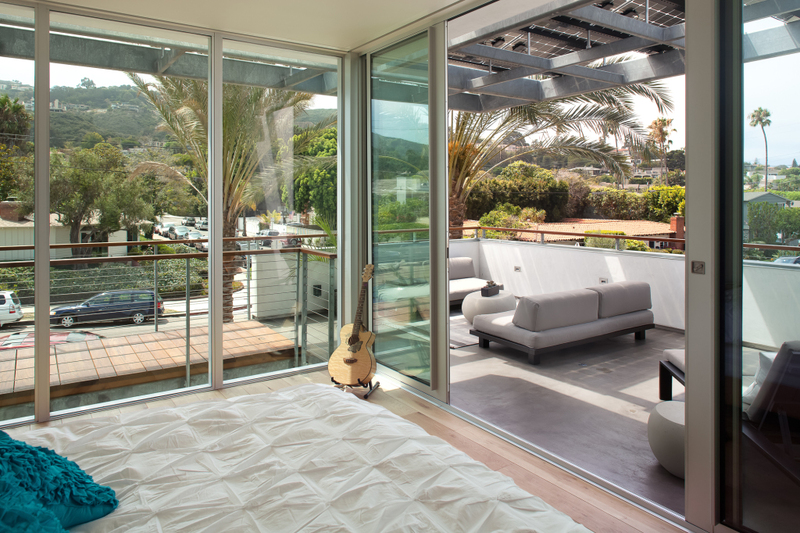 Technical items of the home include all LED lighting, solar hot water heating for both domestic water and bedroom radiant floor heating. 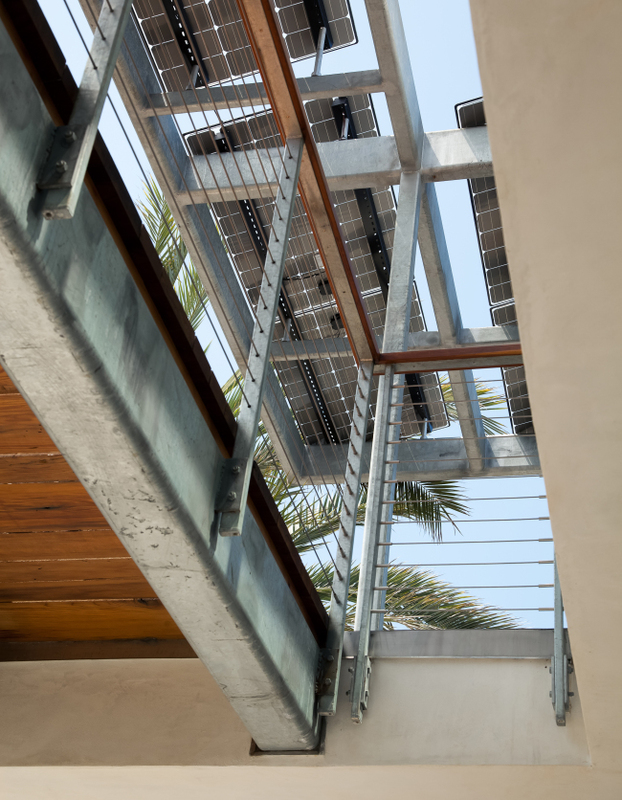 Perhaps the most obvious and visual technical features are the glass solar collectors which also work beautifully as the trellis elements for the house facing South and West. They become an integrated and aesthetic feature of the home, not an add-on, filtering the light while they produce electricity. The plan is simple and open, allowing for spatial overlap and interaction to maximize the apparent size of the home’s more modest size and budget . 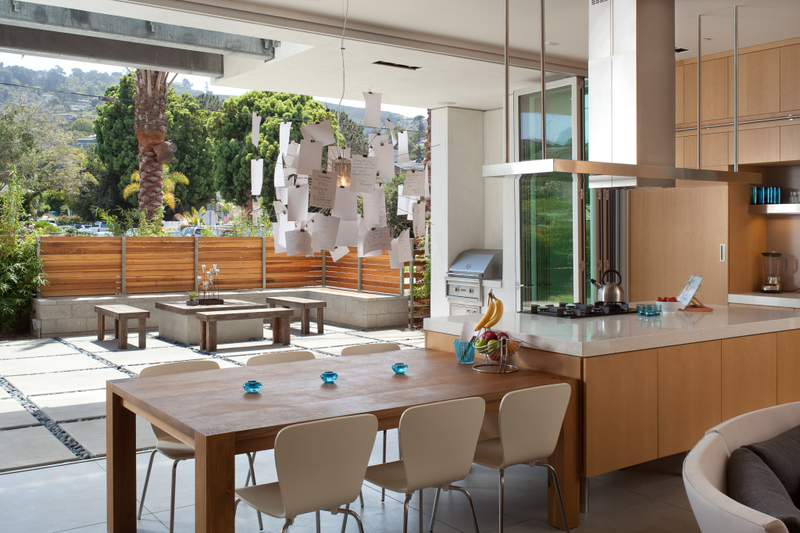 The indoor/outdoor blending architecturally further expands and enhances the unique living possibilities that can only occur in this moderate climate and is an excellent example of biophilic design practiced by the studio. 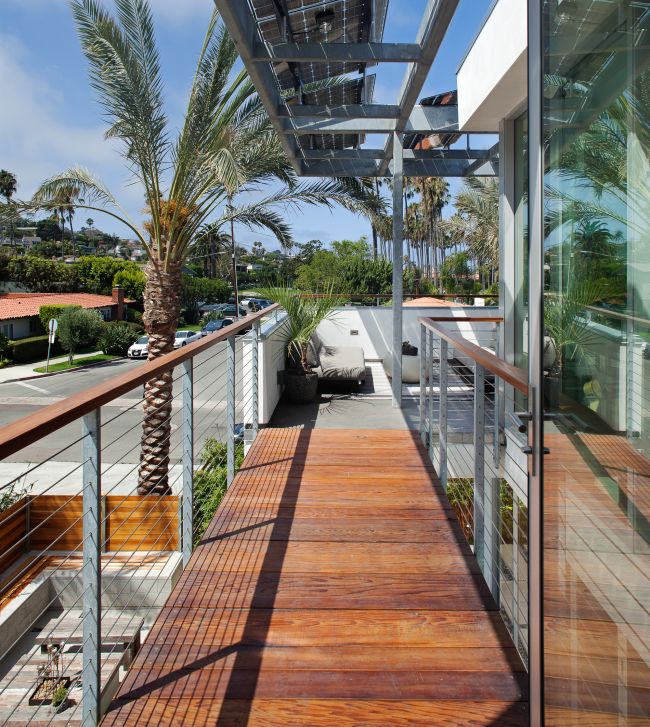 The project won a San Diego AIA Merit Award, and was the grand prize winner of the Pacific Coast Builders Conference, Gold Nugget Award 2014 and is featured on dwell.com.